Our last line of defence against bacterial infections is fast becoming weakened by a growing number of deadly strains that are resistant to even the strongest antibiotics, according to new figures given to The Independent on Sunday by the Health Protection Agency (HPA). The disturbing statistics reveal an explosion in cases of super-resistant strains of bacteria such as E.coli and Klebsiella pneumoniae, a cause of pneumonia and urinary tract infections, in less than five years. Until 2008, there were fewer than five cases a year in the UK of bugs resistant to carbapenem, our most effective intravenous (IV) antibiotic. New statistics reveal how there have been 386 cases already this year, in what the HPA has called a "global public health concern". Doctors are particularly concerned because carbapenems are often the last hope for hospital patients suffering from pneumonia and blood infections that other antibiotics have failed to treat. Such cases were unknown in the UK before 2003. Years of over-prescribing antibiotics, bought over the counter in some countries, and their intensive use in animals, enabling resistant bacteria to enter the food chain, are among the factors behind the global spread. According to the latest figures from the World Health Organisation, some 25,000 people a year die of antibiotic-resistant infections in the European Union. In a statement issued during a WHO conference in Baku, Azerbaijan, last week, the organisation warned that doctors and scientists throughout Europe fear the "reckless use of antibiotics" risks a "return to a pre-antibiotic era where simple infections do not respond to treatment, and routine operations and interventions become life-threatening." More than 50 countries signed up to a European action plan on antibiotic resistance, unveiled at the conference, which includes recommendations for greater surveillance of antibiotic resistance, stricter controls over the use of antibiotics, and improved infection control in hospitals and clinics. "We know that now is the time to act. Antibiotic resistance is reaching unprecedented levels, and new antibiotics are not going to arrive quickly enough," said Zsuzsanna Jakab, the WHO Regional Director for Europe. "There are now superbugs that do not respond to any drug," she added. Dr Alan Johnson, a clinical scientist and expert in antibiotic resistance at the HPA, warned delegates at its annual conference last week that the problem is making some infections harder and in some, cases, virtually impossible, to treat. 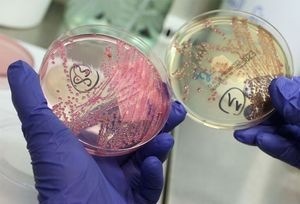 Speaking to the IoS, he said: "We've had a problem of antibiotic resistance for as long as we've had antibiotics. The big problem at the moment is, for certain types of bacteria, we are seeing problems of resistance emerging and we don't actually have any new antibiotics in the pipeline to deal with them." The rise is partially due to certain epidemic strains of bacteria that are well adapted to spreading between people, with the added complication that the genes encoding resistance in bacteria can move between different types, explained Dr Johnson. People are largely unaware of the dangers of taking antibiotics, he added. "There's been a perception among doctors and the public that antibiotics are quite harmless. What we now know is that if, as an individual, you take a course of antibiotics you will almost certainly end up being colonised by antibiotic-resistant bacteria in the gut, because the bacteria mutate so rapidly. Now they may disappear and not be a problem, or they may sit there and next time you get an infection it could be due to the resistance that has persisted." And one of the country's leading experts warned last night that Britain is very close to seeing the first cases of infections that are resistant to all antibiotics. Professor Tim Walsh, an expert in antibiotic resistance at Cardiff University, said: "We are very close to having pan-resistant bacteria in this country. The consequence of this is that we are more or less back to the pre-antibiotic days of the 1920s, so these drugs that we've relied on for so long and taken for granted have now become obsolete because we've become complacent." A rise in deaths will almost certainly result, claimed Professor Walsh, with people that have weakened immune systems among those at greatest risk. Little is known about the toll on Britons, with the HPA admitting that it does not have "the mortality statistics for this resistance in the UK". It is calling on doctors to exercise caution when using antibiotics, and for hospitals to track cases of antibiotic resistance and stop the spread of the bacteria between patients. Listed below are links to blogs that reference this entry: Antibiotics losing the fight against deadly bacteria. This page contains a single entry by Toni published on September 21, 2011 9:00 AM. 50 Reasons To Protect Infants From Vaccines was the previous entry in this blog. Pharma-backed legislation to allow secret vaccinations of children without parental consent about to become law in California is the next entry in this blog.